An annual tradition continues, and it all starts on Friday. 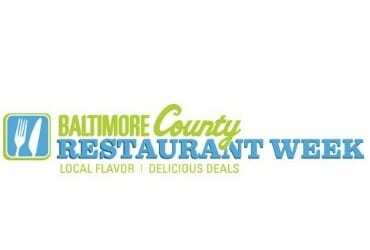 On August 3, Baltimore County Executive Don Mohler will join Baltimore County Chamber of Commerce President Brent Howard, other sponsors, and participating restaurateurs to launch Baltimore County’s Summer Restaurant Week, which runs August 3 -18. Liquid Lib’s in Timonium will host the Kick-Off. Restaurant Week (actually 16 days) allows diners to discover new restaurants and enjoy old favorites at a discounted price. Sixty-one restaurants will feature fixed price, one to three course brunch, lunch, and dinner menus. At the Kick-Off, chefs from 13 participating restaurants will prepare some of their menu specials for sampling. Restaurants include: The Café at Atrium Village, Cunningham’s, Glyndon Grill, Il Basilico Trattoria, Kooper’s Jacksonville, Lib’s Grill, Liquid Lib’s, The Manor Tavern, The Milton Inn, Mother’s North, Nacho Mama’s, Pappas Restaurant, and The Pointe in Towson. Bond Distributing and Lanterna Wines will serve pairing libations.